The Line Segment constructions allow you to quickly and accurately dived a line into equal parts or a desired ratio. The equal segment construction may look familiar to those of you have used the ruler trick to divide a board equally. These constructions may look a little involved but are quickly executed once you are familiar with them. Allowing you to quickly divide a length as you desire. Jim Tolpin, one of the authors of the book “By Hand &Eye” has posted animated clips of geometric constructions on his YouTube channel. There is also information and animations on the Math Open Reference website. 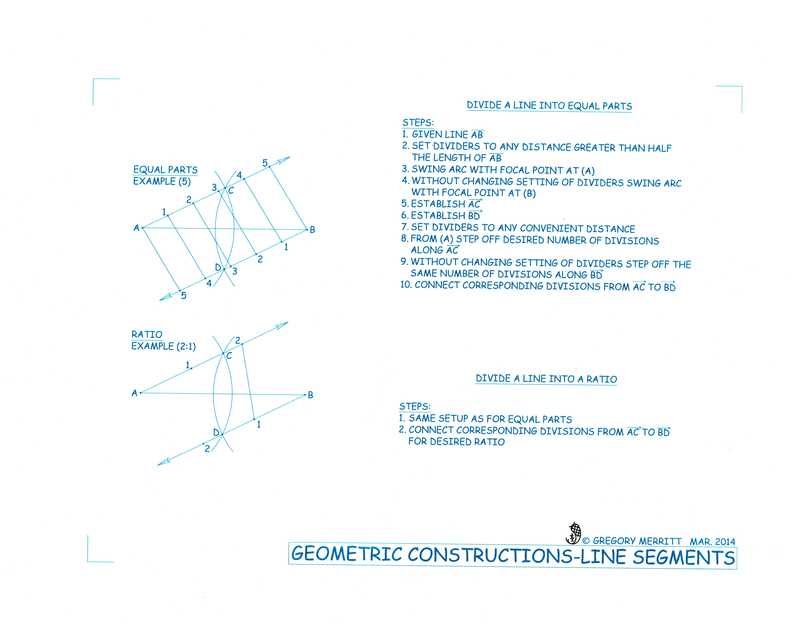 This entry was posted in Design, Geometric Constructions and tagged geometric constructions, Line Segment. Bookmark the permalink.